Personally, I have been a fitness freak during my school days and was a national level volleyball player. But, as I grew older although I was athletic and passionate about long distance running, I barely ran even a KM. 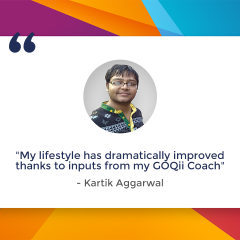 But, two years ago, things changed and I realized that I hit rock bottom physically as a result of being so engrossed in running my business venture Indiagames. I achieved all what I wanted as an entrepreneur- name, fame and money but, in the process lost out on a healthy lifestyle. 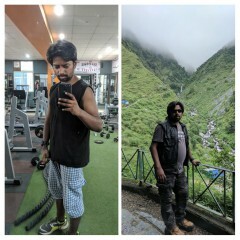 I started running, trekking and got serious about physical fitness. In the last two years, I have run 7 half-marathons and done three 100 km Trail walkers for charity. As I chalked this path for myself, I started wondering about one aspect -how is it that the best entrepreneurs are runners and good runners are entrepreneurs. I pondered over this only to realize that indeed there are several similarities between running and entrepreneurship. Running might seem simple to most. What’s the big deal? Wear your shoes and start running. But no, it’s not as simple as we think it is. Running is all about long term planning. Running is not about short sprints but long runs such as the half- marathon or marathon or the ultra-marathon which requires proper planning, practice and training. Similarly, anybody can walk the entrepreneurial route if you plan properly and have the conviction to make it big. Entrepreneurship is not a short term goal. In my experience entrepreneurship is an endurance sport and thus a long term proposition. Just as you realise your mistakes in the early part of the run whether it means not having stretched enough or lack of hydration etc., in business too if you have not done the right things in your early days it is likely to have an adverse impact in the future. Like for instance if you have not hired the right people, not had the right company culture, or if you have not put the right processes in place it might not impact you immediately but, it will definitely impact in the long run. It is practice that makes a man perfect and can face every challenge in his life. There is an old adage that says ‘Practice makes a man perfect’. You don’t have to have an MBA degree to be an entrepreneur or be a sportsman to be a runner. With persistence, one can get the hardest rock with the softest rope and with practice the heaviest brain likewise becomes brilliant. One has to follow certain qualities to be perfect. These are strong will-power, tolerance, positive approach, faith, hard work, and dedication. One should not stop practicing and be satisfied until one achieves perfection. And, both running and being an entrepreneur requires good amount of practice. It’s about being consistent in your approach and getting things done meticulously. 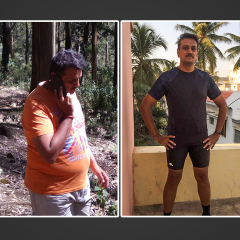 Any healthy person can become a distance run with good practice and nutrition. Similarly, in business too you have to have good practices to be able to do your business well. If you are not self- motivated you cannot be a runner. Self-motivation is key when you turn an entrepreneur. Considering running can get boring when you run alone. The added advantage however is when a group of runners get together and motivate each other to run better. Runners support each other. They push each other. Strangers unite over running. With motivation from others you end up covering each mile easily and find that you are getting better with each mile. People who are better than you should motivate you. It will remind you to perform better and get you more excited to do better. In business most times you will have people around you demotivating you saying things like are you sure you are treading on the right path. This could be difficult, you are better off being in a secure job etc. Therefore, it’s important to be surrounded by the right people around you in business to motivate you and to help you get better each day by doing the right things and to not get dejected and move ahead. Motivation plays a big role to keep your spirits lifted and helps you move ahead slowly and steadily. I have been lucky to have been surrounded by the right people both while running as well as in my business that have always motivated me to move ahead and not look back at my failures. Many a times while running and pushing yourself hard in the heat, you hear your inner-self whispering to you constantly saying… stop enough, relax. At times you are tempted to listen to your inner self and stop. Distance running is certainly not easy. It hurts and if we do not learn to defeat the enemy inside us we will never get too far. In business too you have to fight competition from all corners. It’s not an easy path. There are struggles and many a times you might want to give up everything and get back to a secure job. But, you have to fight that inner enemy within you which is stopping you from moving head and come out of that unscathed and successful. I have noticed this very often. Once you start with the dream run (7 km) or a 10 km run. The next thing you want to do is set your goals higher to run the half-marathon. Once you have run considerable half-marathons you aim for a full marathon. Likewise in business too you constantly set higher goals for yourself and for the business. You look at most successful people, the one thing common amongst them is that they constantly challenge themselves, From millionaires they become billionaires and further keep challenging themselves to do bigger things- be it in business or philanthropy. Once you have achieved your goals you should reward yourself. Like for instance if you have successfully run your first half marathon or a marathon you treat yourself to good food and indulge yourself for a day by relaxing in a spa for all the hard work you have put in. You can also reward yourself for a good run by doing good or running for a cause and raising charity funds. Similarly, in business you can reward yourself and your people in various ways. One way is to do good. You can follow the path of philanthropy and support causes which can bring smiles on to the faces of so many under privileged. Charity acts have now become a part of me and will continue to do so in the future as well. Very few people get the chance to have fun as well as pursue their passion. When you run you have to enjoy it. Similarly, in business you have to enjoy what you are doing. Seldom people get a chance to pursue their passion as a career. You have to be enduring to do well. I am not surprised that most successful entrepreneurs or businessmen can easily take to running and vice versa. 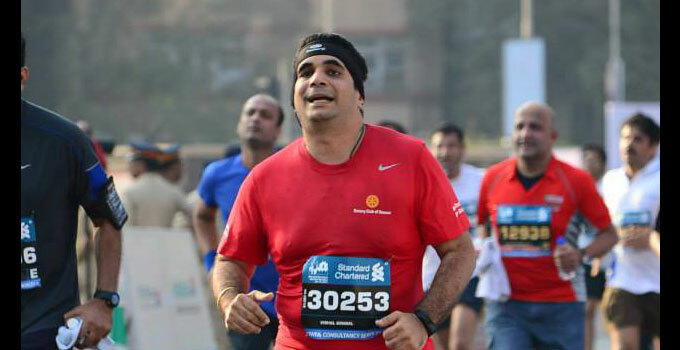 We have fine example as in Anil Ambani, Anand Mahindra, N Chandrashekar of TCS who are all fine business men and known for their entrepreneurship and savvy business deals but, they are also good runners who regularly participate in distance runs. Similarly, you have good sportsmen who are good entrepreneurs such as the likes of Anil Kumble, Jonty Rhodes to name a few. Successful people do what unsuccessful people are unwilling to do. Running and business is all about having the right mindset, having great organizational skills, strong gut feel, strong grit and conviction. I realize that these things come to you naturally when you take up any extreme sport or distance running. You might not be in the best of your physical fitness levels but if you have the will to endure and have a strong will to run, you can do it. Running is about mind over body. Similarly, business is about mind over matter. You may not have enough money but you need to have conviction to do what you are intending to do. I would also say runners are like a salesman. You meet so many people. You travel to different cities to run and meet so many different people. If you are running for a cause you have to go out there sell your cause to raise funds. In way also try to motivate to get other people to take up similar activities. Best way to reach me is to get introduced to my by someone I trust !.. Thx vishal! I will def see someone whom u trust..i still remember when u started indiagames..and we where developing india’s first pc game in paradox studios in BKC (especially: ur project ashoka..) we thought we where way far ahead in art quality..but u proved us wrong….kudos sir! 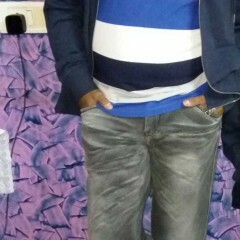 I really wish u the best for ur new venture..u truly keep me ” running”…good luck! Best way to reach me is to get introduced to my by someone I trust !